Ahoolee’s goal is to be the first search engine dedicated to helping the person searching for a product to be able to compare the price of the item on hundreds of web sites to enable them to get the best deal available. The original way that a purchaser would search for a product was through search engines like Google and Yandex. The results would be a link to the page where the product could be found. The purchaser would have to view dozens of pages in order to compare prices on their own and determine which offer is best for them. With this option the research is tedious. There is no one place to search for an item and find all relevant stores that offer the item that is being looked for and comparing the prices. The solution to this problem was attempted by the advent of online marketplaces like Google Shopping, Yandex Market and those built by large retailers like Amazon and Ebay. Ahoolee describes the shortcomings of this system. The final issue is that not all stores are synched to the marketplaces and therefore the marketplace can not give you a true comparison of prices for the product you are looking for in one place. “The mission of our project is to enable any person to find any product on the Web, see ALL the shops where it can be purchased, and compare them by price. The Ahoolee platform is enabled by three main blocks: Parsing, Matching and Search. In order to collect information from the various stores, Ahoolee uses a decentralized parsing method based on their own blockchain. The main objectives are to keep the product prices up to date and to collect as much details about the products as possible. 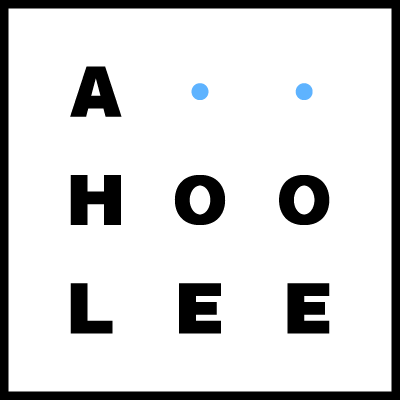 Ahoolee uses machine learning algorithms to process the information parsed from the different stores and combine them into a single product card. This enables complete information regarding specific products. At the moment of the printing of the whitepaper, Ahoolee’s database contained more than 40 million SKUs and the number grows daily. The system also contains the history of store’s price changes, which can be helpful to see if a store raised its prices before putting something on sale. The user can also see a complete history of his purchases from all stores in one place. Ahoolee tokens (AHT) are issued on the basis of Ahoolee’s blockchain as an Ethereum fork. Ahoolee Tokens can be purchased through their internal exchange with various cryptocurrencies and FIATs as well. Ahoolee pays the assessors for the manual training of machine learning algorithms for product matching in AHT. Ahoolee has structured its crowdsale in three different rounds, the Pre-Sale, Seed Round and Official ICO. The total number of Ahoolee tokens to be issued is 100 million. 70 million will be available during the crowdsale process. 20 million are set in the Reserve Fund for miners and assessors and 10 million will be kept by the company. Ahoolee launched a Pre-Sale during July and raised its cap by selling 10 million AHT at a price of $0.02 in 30 minutes.